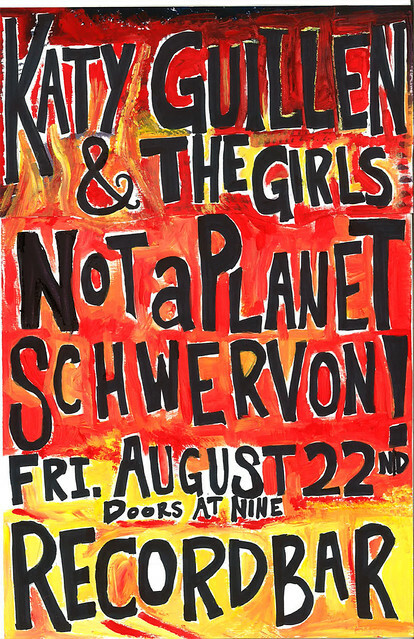 Friday Aug. 22 (KC< MO) @ RecordBar w/ Katy Guillen & The Girls + Not A Planet | Schwervon! Okay, here’s what we’re doing Friday night. Doors at 9pm we’re on at 10. Not A Planet + Katy Guillen & The Girls play after! This entry was posted in Uncategorized and tagged Katy Guillen and the girls, KC Freak Folk, Not A Planet, recordbar, Schwervon show flyer. Bookmark the permalink.